Gas Guzzlers: Combat Carnage is a fast-paced combat racing game for the PC. 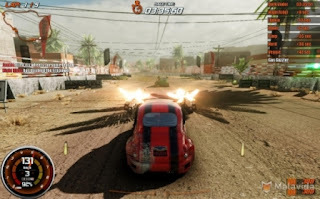 Played from the "behind the car" camera perspective, the gamefeatures many different vehicles, weapons, upgrades, on-track bonuses as well as distinctive and astonishing environments. 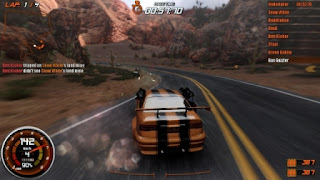 Player starts with low performance vehicle and gradually works his way up by earning money in a series of challenging races. 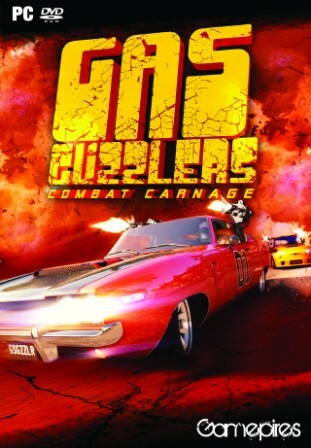 Along with developing his driving and fighting skills, player has to invest his hard earned money wisely to grab the chance for driving on the road to glory.